The Jeep Wrangler is a compact SUV ready to handle any of your driving needs in Muncie or the terrain around it. Regardless of the type of roads you want to travel over, the Jeep Wrangler is up to the challenge. It is Trail Rated and has amazing off-road abilities. 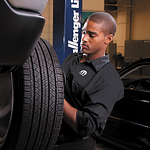 Are Mopar® Vehicle Protection Plan's Tires Any Good? Some people are a little skeptical of any hardware that's provided free with a replacement plan, so it's natural that many drivers wonder whether or not the tires that come with the Mopar® Vehicle Protection Plan are worthwhile. Light duty pickup trucks are becoming more and more popular all across the country thanks to their incredible capability features. That is why our pickup truck experts at Bill Gaddis Chrysler Dodge Jeep Ram located right here in Muncie are so excited to announce the arrival of the all-new 2019 Ram 1500. When it comes to vehicles that are used for cargo, there is a lot more to it than carrying the cargo. You also have to make sure that it is not chaotic for the vehicle. 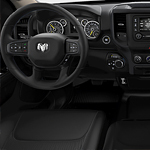 With the 2018 Ram 2500, you will have a lot of things that you can do to stay organized even with the cargo. The Jeep Gladiator will be the first open-air pickup truck on the market. With this model, Jeep combines classic elements along with enhanced capabilities, making it an attractive choice for drivers in Muncie who want to head out on adventures. At Bill Gaddis Chrysler Dodge Jeep Ram, we're proud to say that the Gladiator will have best-in-class towing, at 7,650 pounds, and best-in-class payload, at 1,600 pounds. The truck bed comes with a three-position tailgate, and you can opt to include a roll-up tonneau cover and/or a 115-volt power outlet to make things more convenient. 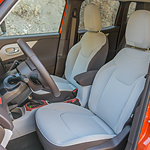 The Jeep Renegade is a rugged sub-compact SUV that's fun to drive. People have been coming to us at Bill Gaddis Chrysler Dodge Jeep Ram to check these vehicles out, and we're always happy to answer any questions that potential Jeep drivers might have. 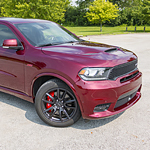 The Dodge Durango remains a popular option with individuals who want a mid-sized SUV but do not need the extra space of a larger vehicle. However, few realize that while providing owners with capability, power and spacious interiors, the Durango is also designed to be fuel efficient. 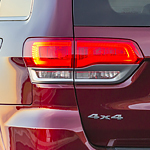 Learn about all of the advantages of owning a Dodge Durango by visiting our Bill Gaddis Chrysler Dodge Jeep Ram facility. If you are thinking about buying the Ram 3500 in Muncie, our team at Bill Gaddis Chrysler Dodge Jeep Ram thinks this is one of the top models in its class. The heavy-duty pickup truck was manufactured with a number of features that increase power and efficiency. 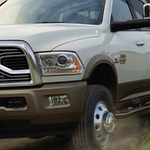 The Ram 3500 comes with a powertrain that offers two engine options and three transmission options. When you are trying to find a light-duty pickup truck that will get you around and also help you with some of the work that you need to complete, look for something that is safe. 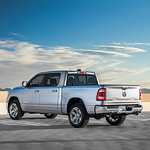 You will find that the popular Ram 1500 is going to be everything that you are seeking in a vehicle. Whether you're driving on a new highway or rough dirt road, a reliable sport utility vehicle is supposed to offer a comfortable ride on any surface. The Jeep Grand Cherokee is equipped with robust mechanical features that neutralize some of the harsh effects from the surroundings. Qualifying for the traditional Trail Rated badge, this premium SUV has the patented Quadra-Lift Air Suspension System that has been extensively tested on numerous landscapes. By varying the ground clearance, this air suspension system optimizes performance and stability.